I fell hard for Denmark. Though I only spent four short days in Copenhagen, it was enough to make me completely infatuated with the Danish capital. While my time spent exploring the city was nothing short of magical, I've had trouble processing exactly how I feel about my trip. 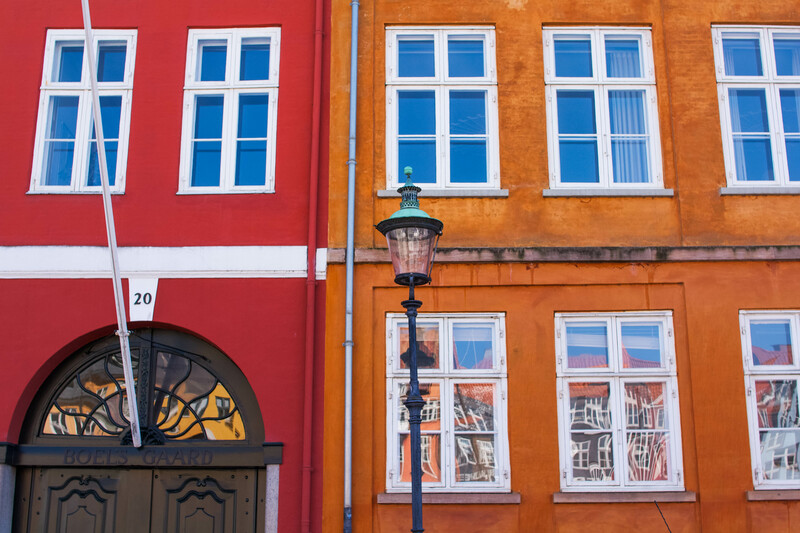 Danes are supposedly the happiest people in the world, and with stunning streetscapes and bright colors like these, I really can't blame them. 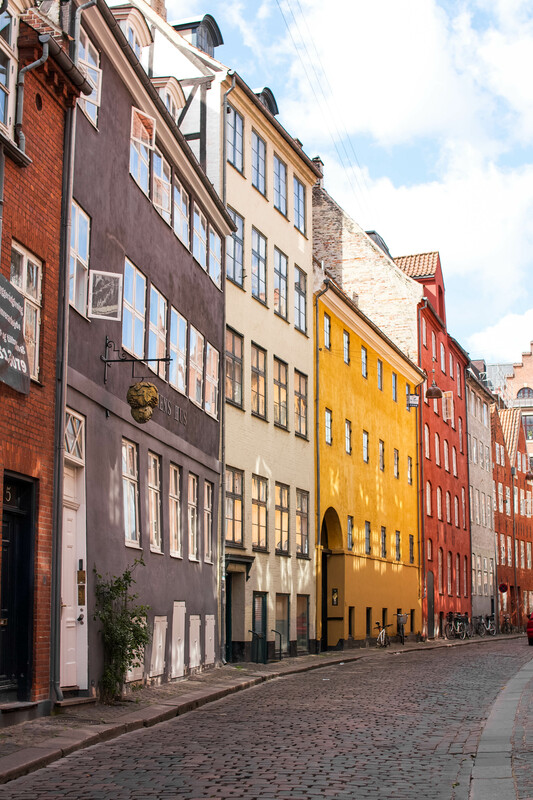 The pops of color amongst its streets make exploring Copenhagen an enchanting experience. Though I was lucky enough to visit when the weather was superb, I can only imagine how the vibrant color schemes enhance a gloomy day. In the aftermath of the new Nordic food revolution, Copenhagen's market scene has become a defining element of Danish gastronomy. 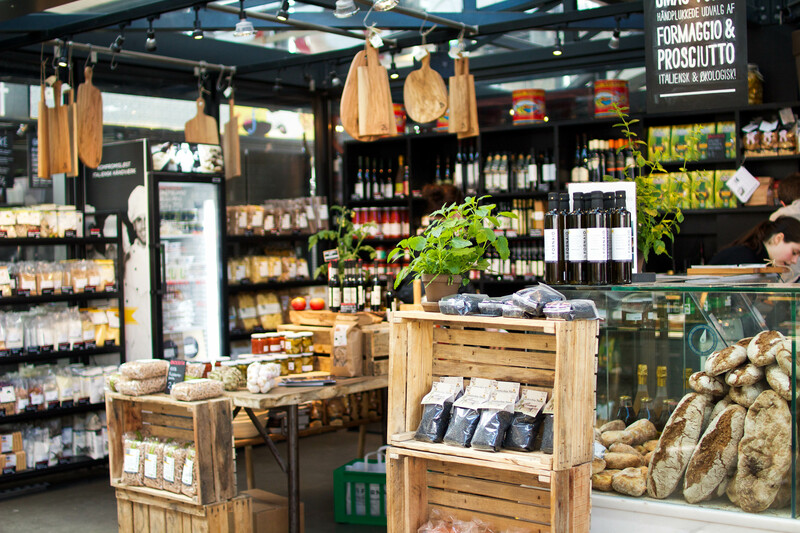 From the slick and shiny Torvehallerne Market to the wonderland of food trucks at Papirøen, the diversity of dishes to be found is unparalleled. At Torvehallerne Market, a foodie mecca akin to Madrid's Mercado de San Miguel or San Francisco's Ferry Building Marketplace, I indulged on a variety of delicacies every day. From gluten-free paninis at Vita Boost generously stuffed with avocado, spinach and hummus, to truffle fries and prosciutto & pear salads at Un Mercato, the feast of available treats at Torvehallerne is never-ending. 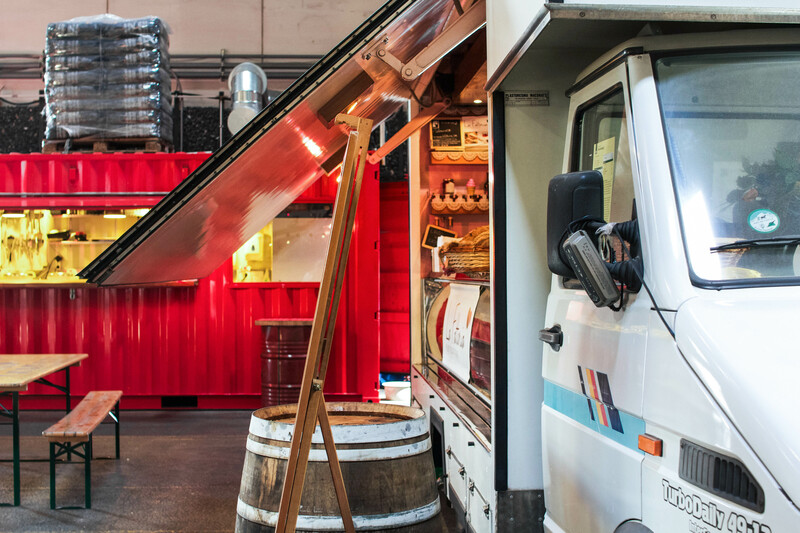 At the former cellulose processing plant of Papirøen (also known as Paper Island), you can find an entire warehouse filled with a glorious array of food trucks. With a plethora of options to choose from, I settled on Belgian fries doubled fried in duck fat from the Copper and Wheat stand, as well as an organic, gluten-free egg wrap filled with braised pork, fresh vegetables and herbs, and a creamy yogurt tahini dressing from Brass. 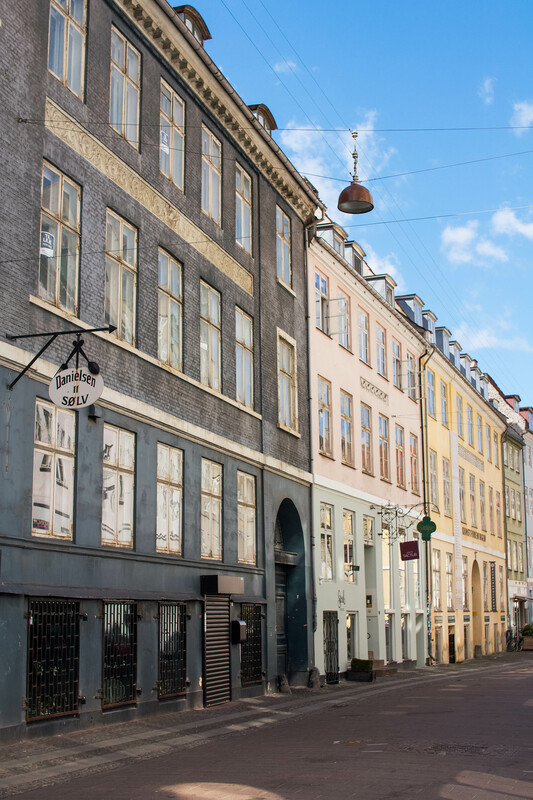 Since the city is comprised of several different islands, it's no surprise that Copenhagen is a nautical paradise. Some of the city's most striking boats can be found along Nyhavn, Copenhagen's most colorful canal. The old wooden sailboats parked against a backdrop of vibrant buildings make for a decidedly picturesque scene. Much like Amsterdam, Copenhagen boasts a series of sparkling canals. 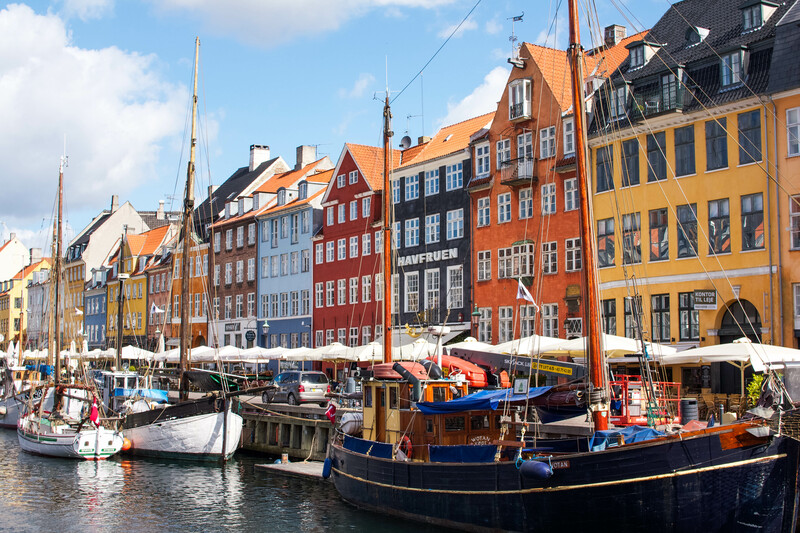 Some of Copenhagen's best views can be seen from these waterways, so I highly recommend taking one of the city's many boat tours, weather permitting. Getting out on the water is a Danish right of passage, and cruising the canals turned out to be one of my favorite activities while visiting. 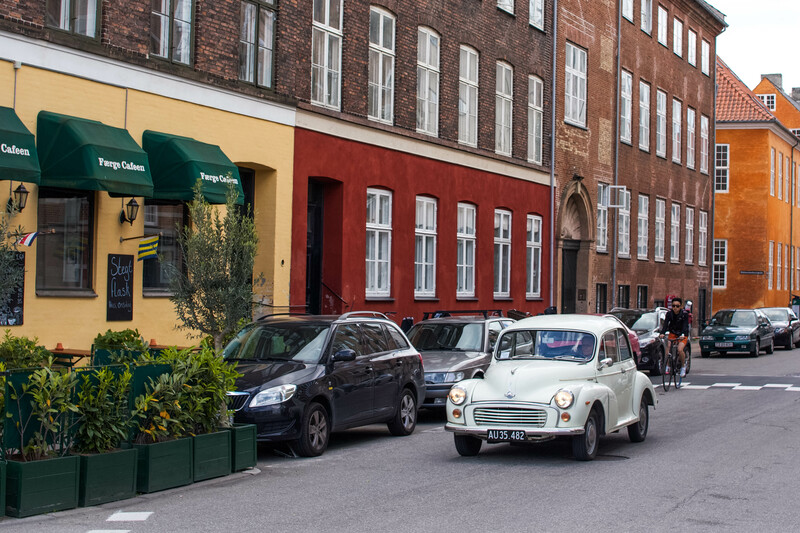 At every corner I turned, the streetscapes of Copenhagen blew me away. I wanted to photograph it all! (And believe me, I tried.) The myriad of old buildings in the city center are positively darling. I can't count how many "dream homes" I stumbled upon while wandering through Copenhagen. 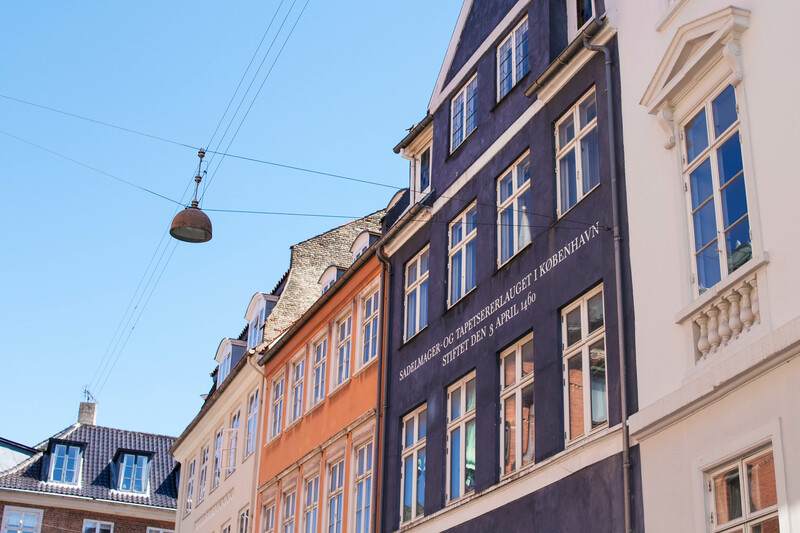 Because the Danes are at the front lines of urban design, their cutting-edge modern architecture is nothing less than awe-inspiring. But don't forget about the breathtaking castles and lavish palaces dotted across the city! Not only is Denmark considered the happiest country in the world, but in true Scandinavian fashion, they're also one of the most efficient. 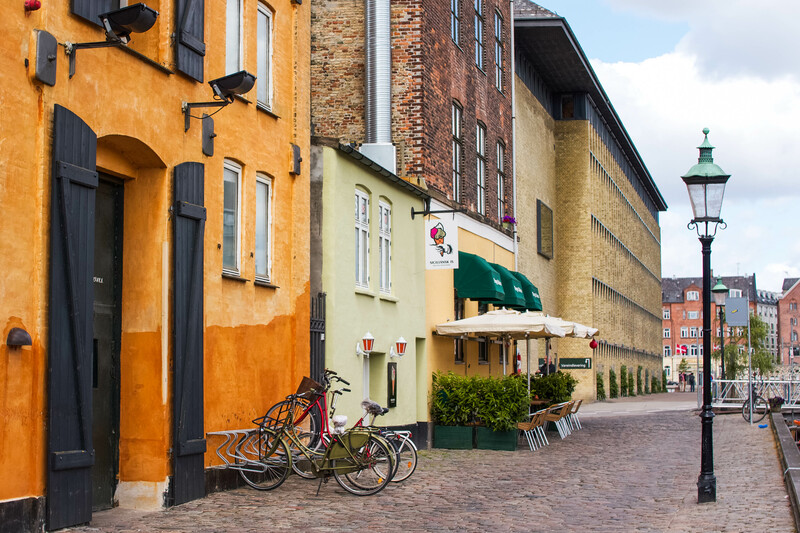 Between food and renewable energy, Denmark is one of the world's leaders in sustainability. With its state-funded education (that's right, universities are completely free!) and one full year of paid maternity leave, high taxes are a sacrifice that most Danes are willing to make. Not to mention, Denmark has one of the lowest crime rates in the world. Basically, Denmark is good at everything it does except weather. But even that doesn't seem to get the Danes down! 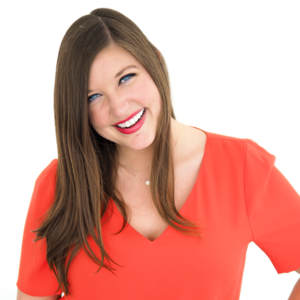 Hygge is a Danish concept that roughly translates to coziness or snugness. 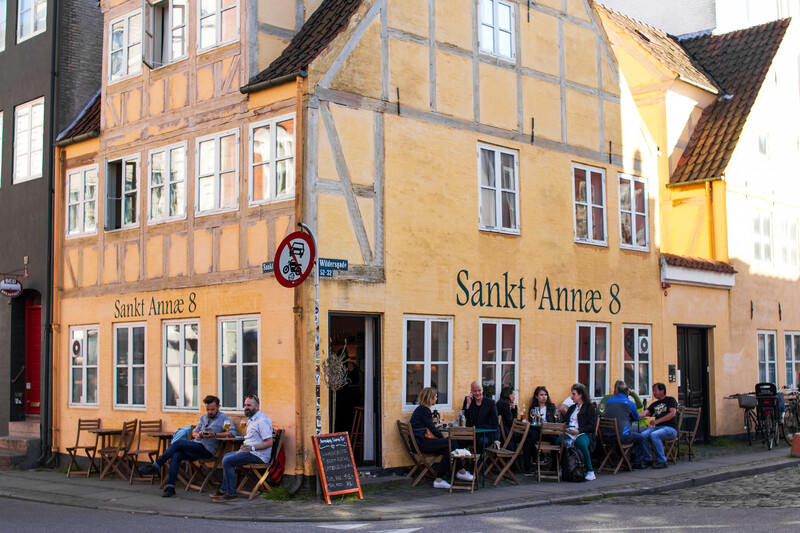 The Danes define it as "creating a warm atmosphere and enjoying the good things in life with good people". For example, think of curling up by a fireplace and reading a good book, or sharing a good meal with close friends and family over the holidays. 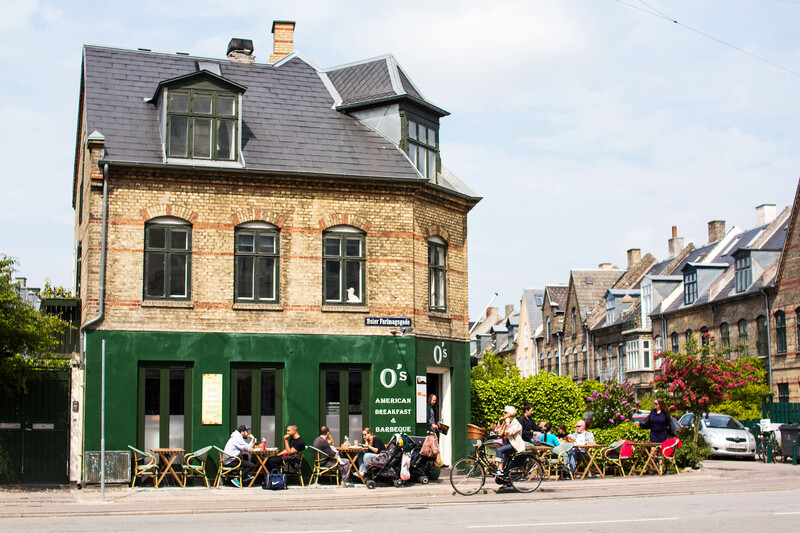 Though Copenhagen is a fairly large city, so many parts of it exude this cozy, familiar charm. Given the warm and fuzzy feelings I had while in Copenhagen, I'm fairly certain that I was feeling uninhibited hygge. If so, what impressed you the most? 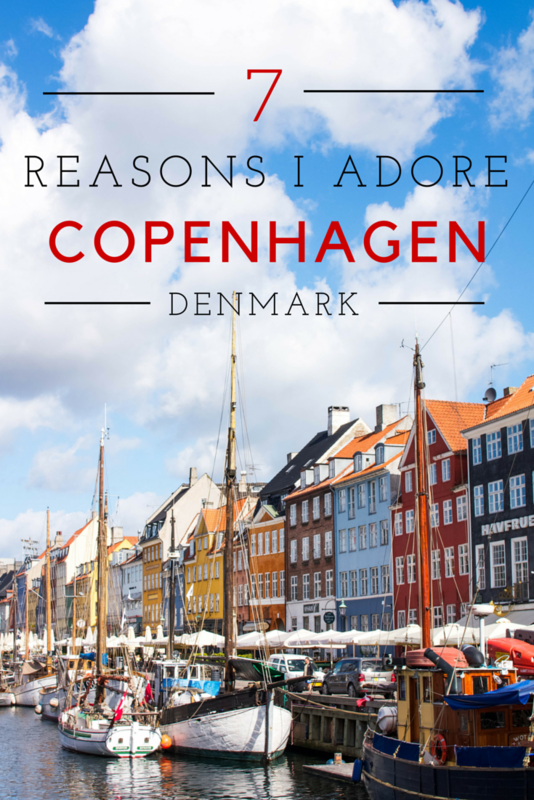 1 comment on "7 Reasons I Adore Copenhagen"